The mother plants of our frigo plants are planted in the propagation field in March. 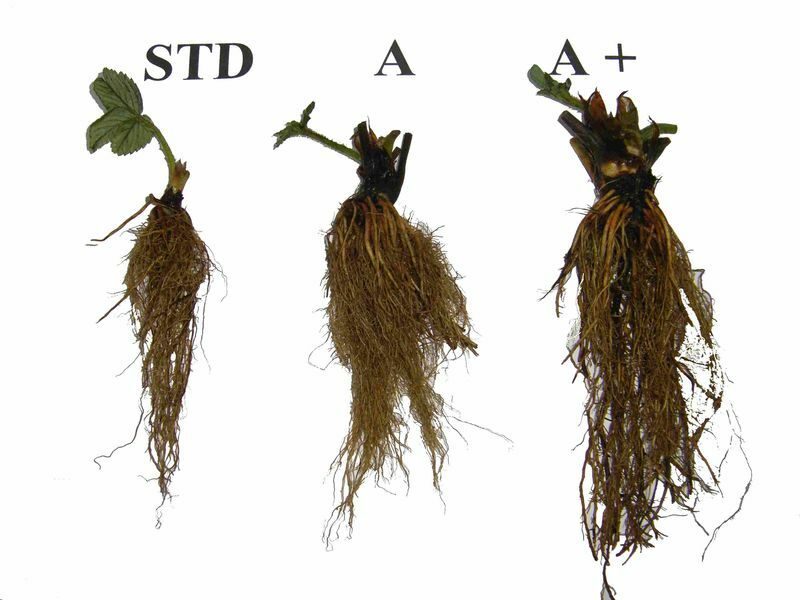 During the vegetative period, a dense crop of young plants develops. As soon as the young plants are strong enough, the leaves are cut back, the runners are cut and the mother plants are tilled into the ground, guaranteeing maximum light and space for our young plants. When the young plants are dormant – towards the end of November, depending on the temperature – they are lifted, graded and put into cold storage at -2°C. The plants can now be safely stored in our cold stores in artificial winter conditions right through until August. Standard (6-8 mm): The smallest size plant we offer, mainly for use in private gardens and garden centres. 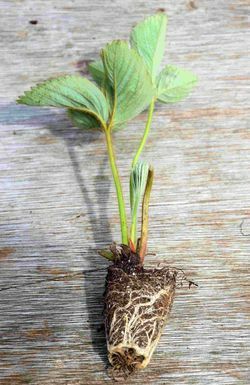 A plants (9-14 mm): The most widely planted grade. 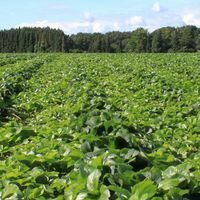 We recommend pinching out the flowers in the first year to encourage vegetative development and boost yields the following year. 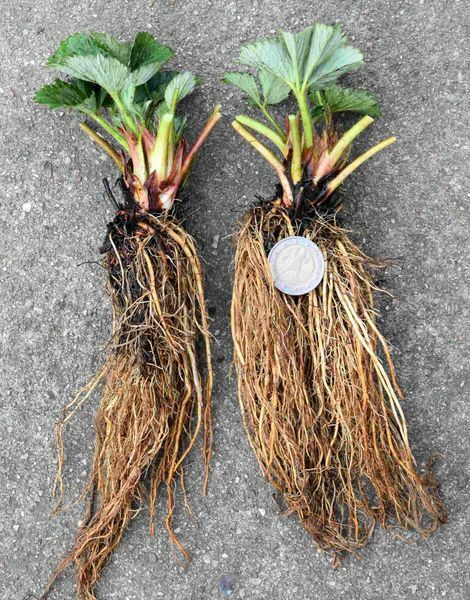 A+ plants (> 15 mm): Strawberry plants with a very large crown and a high number of induced flowers. 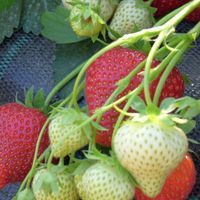 This grade is suitable for sixty-day cropping outdoors or in the greenhouse. 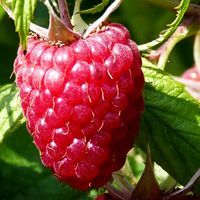 For crops with no harvest in the planting year, these vigorous plants are also suitable for very late planting. 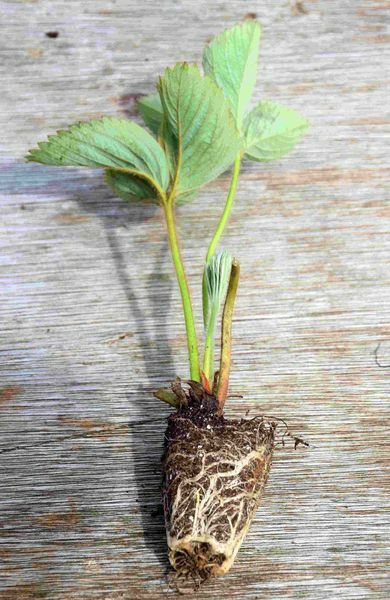 Very vigorous strawberry plants with a large number of induced flowers. 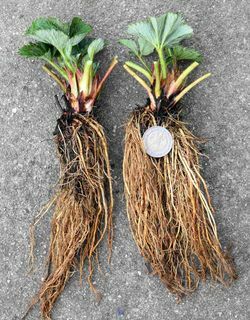 The strongest runner plantlets are harvested as fresh plants in August and planted directly in the waiting bed. This guarantees optimum growing conditions and maximum yields in the year of harvest. Particularly suitable for substrate and ridge planting in polytunnels and greenhouses. Waiting bed plants can only be produced to order. Because these special plants are very complex and cost-intensive to produce, they must be ordered one year before the desired planting date. Our tray plants have a 0.2 l root ball. 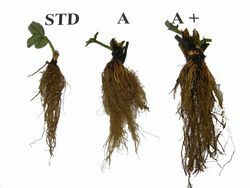 The larger the root ball, the better and more reliably the plant will develop in the substrate. Tray plants can only be produced to order. Because these special plants are very complex and cost-intensive to produce, they must be ordered one year before the desired planting date. 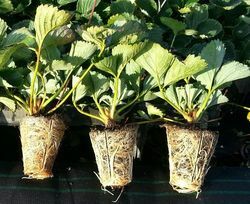 Potted fresh plants are mainly used for intensive forms of cultivation such as substrate or ridge planting. 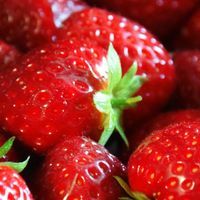 Unlike tray plants, however, these plants are planted in August and cultivated until the following harvest year. 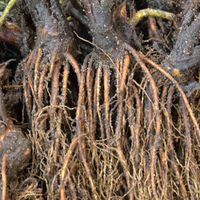 Our potted fresh plants have an 85 cm3 root ball and can be planted in early August. Ask us about varieties (available to order only).